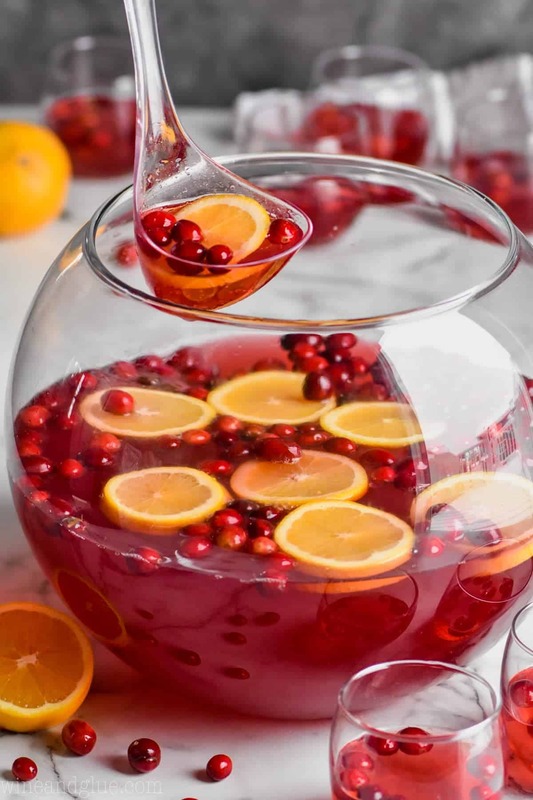 This easy Christmas Punch with vodka is going to be the highlight of your party. Super simple to make and absolutely delicious. 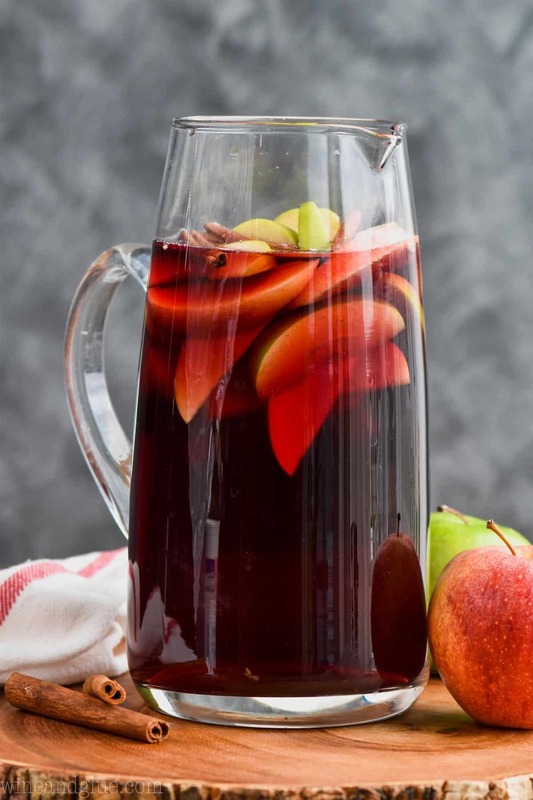 Make it a non alcoholic Christmas punch by leaving out the vodka and serving it on the side! I have been alone without Nathan this whole week while he was at a work conference. And I’m talking FULL week. He left Sunday morning and he won’t be home until late tonight. This isn’t the first time I’ve had a full week like this with the kids, but I for sure missed him more this week than any other time he’s been gone. We’ve been lucky enough to be in such a good place in our marriage this year, and I really just miss him. Also? How do those of you who are single parents do this?? I mean, I did it. I cooked meals every night, I got the kids into bed at a reasonable hour. We did every activity and sport they are in. And for the most part I kept up with work, but I am EXHAUSTED. I want to sleep for seven days straight now. 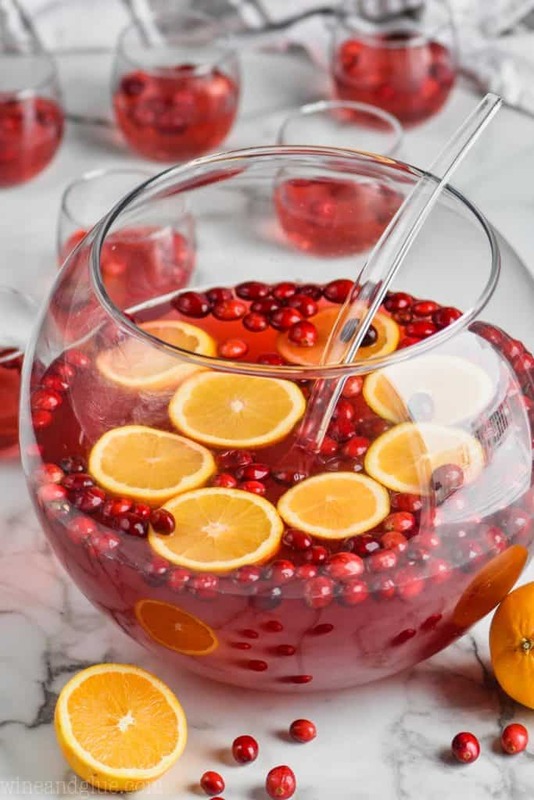 Instead though, because this is what I do, I’m going to talk to you about this amazing vodka Christmas Punch and then I’m going to go photograph seven hundredy other recipes that I feel like you MUST have before Christmas. But first this great vodka punch! Do you love the punch bowl? I bought it just for this post because I’m crazy like that. And if you want it too, you can find it here. 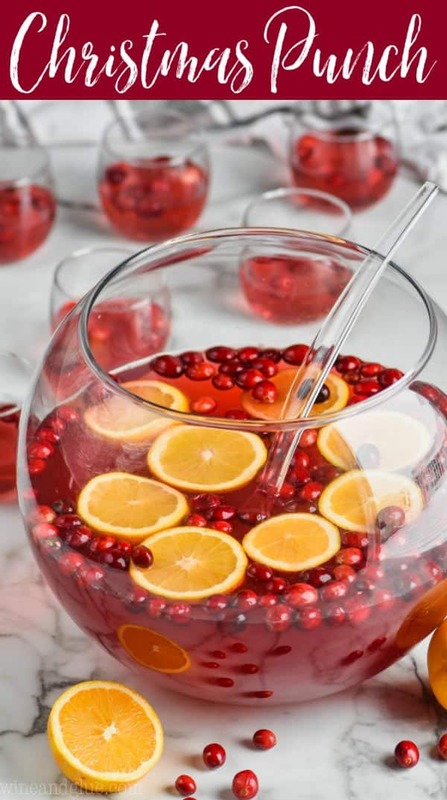 This Christmas Punch is a recipe that has been floating around in my head for a while now. 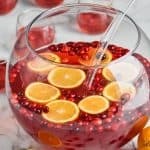 I love vodka punch recipes because they are so easy to switch up the flavors on depending on the season. 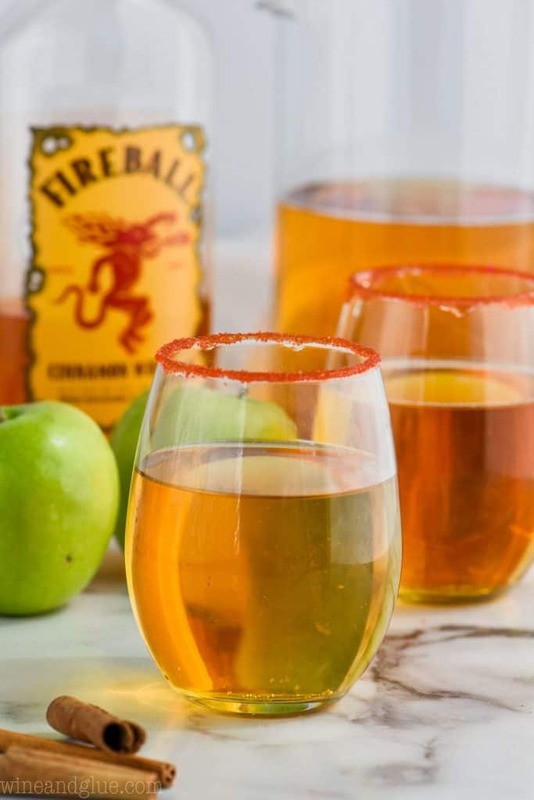 My Caramel Apple Vodka Punch is perfect for the fall and I certainly couldn’t leave you hanging for Christmas and winter, right? HOW DO YOU MAKE A CHRISTMAS PUNCH? This recipe comes together really simply with vodka, soda, and juice. I also added a pomegranate liqueur for a little something extra. You could leave that out or you could substitute pomegranate juice. 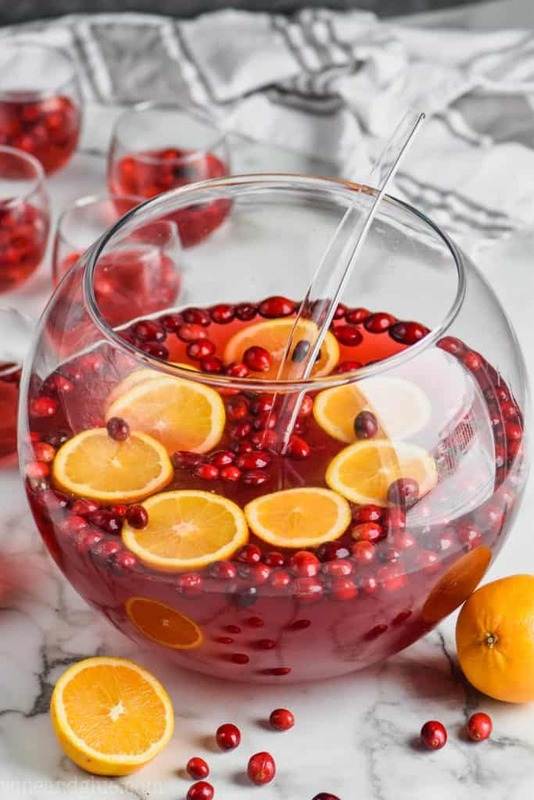 Because most punch bowls hold SO MUCH, I am giving you a really big batch version of this, but if you want to make it for a smaller crowd, I’m giving you a medium batch version. You will also find a single batch version in case you wan to try the recipe out before you fully commit. HOW DO YOU MAKE A NON ALCOHOLIC CHRISTMAS PUNCH? 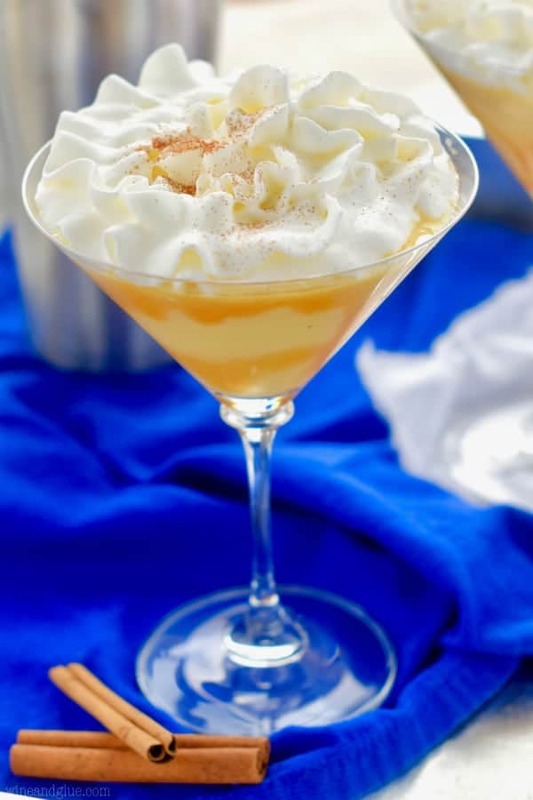 This recipe is so easy to make non-alcoholic. You simply exchange the pomegranate liqueur for pomegranate juice and you set the vodka off to the side. I think this would also be delicious as a Christmas punch with sherbet for the whole family. You could skip putting in the oranges and fresh cranberries and just put orange sherbet on top. It would be delicious! 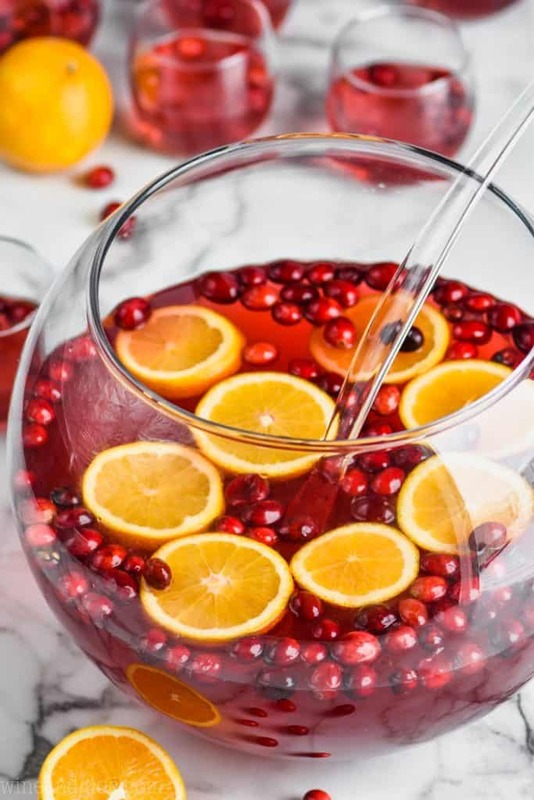 This Christmas Punch is pretty forgiving, so you can play with it a little and see what you like best. Here are some ideas. 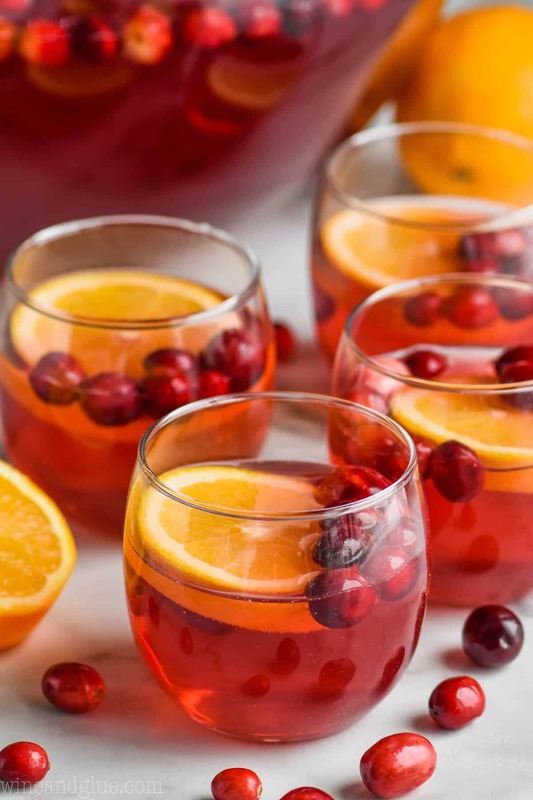 Like I mentioned, you could make this recipe family friendly by using pomegranate juice and leaving out the vodka or setting it out to the side and topping it with some orange sherbet. If you don’t like ginger ale, skip it! I loved the taste of the punch as is, and then added in some ginger ale at the end because I’m a fan. It is great with or without it. HOW ELSE CAN I USE POMEGRANATE LIQUEUR? So you decided to use that instead of the juice and now you want to know what else you an use it in. You’ve come to the right place. 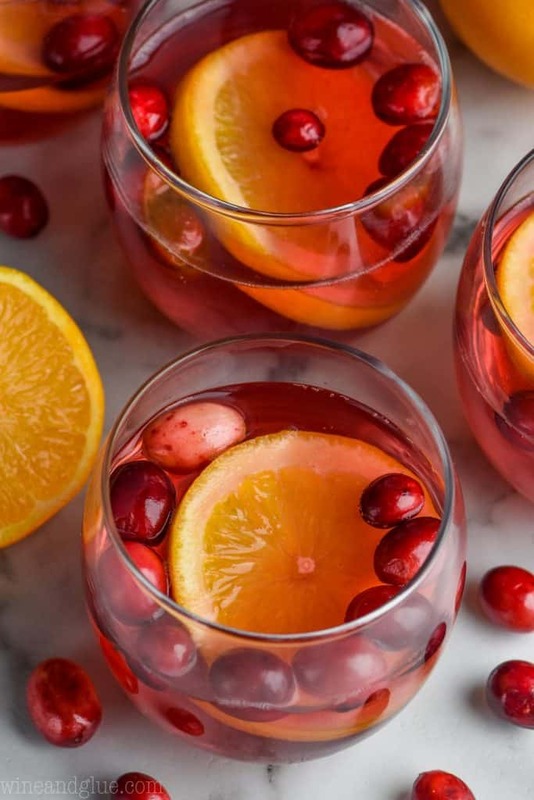 This Cranberry Pomegranate Champagne Cocktail is a big hit this time of year! So pretty too! I am totally in love with this Pomegranate Mojito! It is refreshing, and it looks so so festive! Combine all of the ingredients. It is best if they have been kept cold. Add fresh cranberries and fresh orange slices.